The long wait is over, and Pokemon Go fans are finally able to capture the legendary Pokemon Articuno. Here's how to do it. Pokemon Go players have been waiting for the release of Legendary Pokemon since the game's inception just over one year ago. 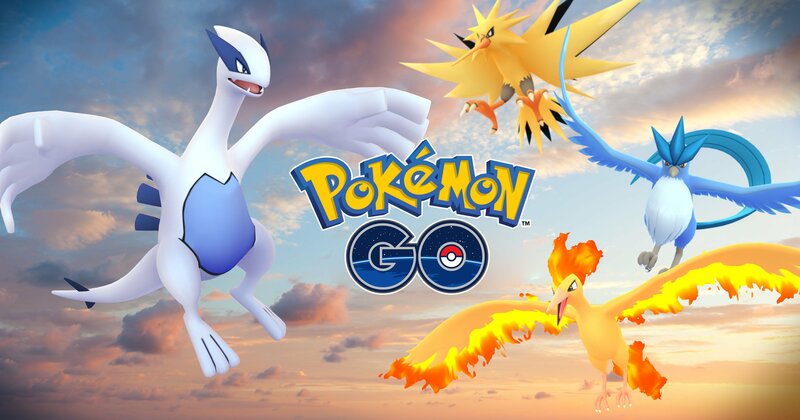 Back in May, we speculated that Niantic had special plans to bring Legendary birds into Pokemon Go, but it wasn't until last weekend's disastrous Pokemon Go Fest that the developers finally saw it fit to release Legendary creatures out in the wild. Here's everything we know about how to find and capture the Legendary bird Articuno. The first step that Pokemon Go players need to undertake in order to capture Articuno is to find a Legendary Raid battle that features Articuno as the raid boss. This shouldn't be particularly hard for players who live around a lot of Pokemon Go gyms, but if that's not the case, we have a special guide on how players can use Silph Radio to link up for raid battles. Since Articuno is a Legendary Raid boss, taking him down won't be easy. Fortunately, there are a few handy tips players can use — since Articuno is both an Ice and Flying-type Pokemon, players would be advised to use a Rock-type creature with abilities like Stone Edge or Rock Throw. If those types are unavailable, Fire and Electric types would also do well, using abilities like Overheat or Fire Blast. If all else fails, check out our guide on the best Pokemon to beat raid bosses. Articuno has a max capture CP of 1,676, and as a Raid Boss, it has a standard CP of 37,603. These are tall odds, though not impossible, and players will have a 48-hour window with which to try to capture the legendary bird. Once the battle has concluded, trainers will have to capture Articuno in order to add them to their roster. Be forewarned that the capture rate is very low, however — users are reporting a capture rate of around 2% for Articuno. Still, these aren't impossible odds, and players who happen to have Golden Razz Berries on hand stand a much better chance of adding the legendary creature to their lineup and using it for future attacks on gyms. Looking for more Pokemon Go content? We've got dozens of guides and how-tos featured over on our Pokemon Go tips and tricks guide hub.